Time management is a practical technique of planning, structuring and exercising conscious control over the amount of time spent on specific activities in a day, week or month especially to increase effectiveness, efficiency and productivity. High school students or adolescents often feel that they have a lot of time at one juncture and do not have time at all in some situation. This makes students feel that they are being controlled by the external environment like lengthy syllabus, school work, peer pressure, urge to use social media most of the time etc. Planning and structuring the day properly and executing the plan makes the student feel that things are under his control and he has played a meaningful role in life. Successful time management involves planning, following the plan, reviewing its effectiveness and making necessary changes every now and then. Although academics are an integral part of the students’ life but the plan should include other activities like play, recreation, household activities, relaxation, sleep etc. which not only breaks the monotonous routine but are also required for the holistic development of the child. 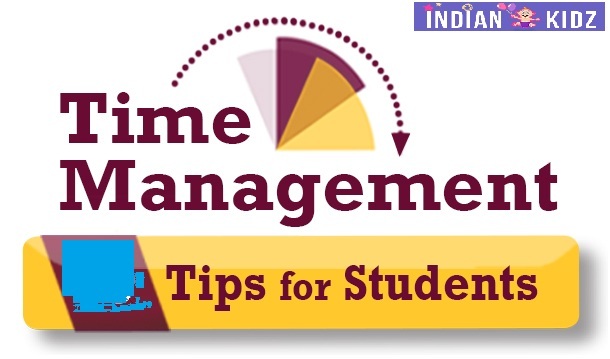 Time management plans are more effective when it is structured by the students themselves, because when the develop it they tend to be more committed to it. Identify the best time to study- Everyone has high and low periods of attention and concentration. Some people may feel more comfortable to study at night while others may prefer day time. So, identify and use your power time to study. 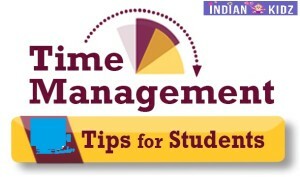 Study difficult subjects first- We process information faster when we are fresh and thus save time. Plan to study difficult and easy subjects alternatively- This reduces fatigue and improves concentration. Break task into small parts and take short breaks in between-This reduces fatigue and promotes better time management. Studying in a conducive environment reduces distraction and thus saves time. Make room for entertainment and relaxation. Make sure you time to sleep and eat properly. Adopt multitasking it saves time. Make a ‘To-Do’ list everyday- Arrange the work to be done based on priority. Know your limits- Make the plan such that it is feasible. And know that it is ok to say ‘NO’ to other less important activities to make your plan workout. Schedule everything- Carrying a planner along with us helps us to stay organized and on schedule. Do not procrastinate- Avoid putting off what you can do today for tomorrow. Finding a healthy balance between school, work, and a social life can be challenging, but by implementing these time-management strategies we can be ahead of the game.